Recover SMS and contacts from Android devices. Is there a better alternative to Coolmuster Android SMS + Contacts Recovery? 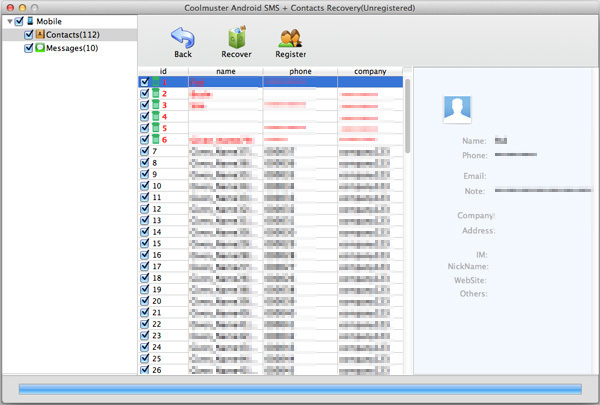 Is Coolmuster Android SMS + Contacts Recovery really the best app in Backup category? Will Coolmuster Android SMS + Contacts Recovery work good on macOS 10.13.4? Depend on Coolmuster Android SMS+Contacts Recovery to restore lost Android SMS and contacts from the internal memory or SIM card of an Android mobile device. Restore Android phone contacts and text messages lost from various scenarios, such as accidental deletion or formatting, virus attack, hardware or software failure, etc. Not only undelete the phone numbers and text messages, but also fully recover the contact information like contact name, address, company, email, etc, as well as SMS attachments. 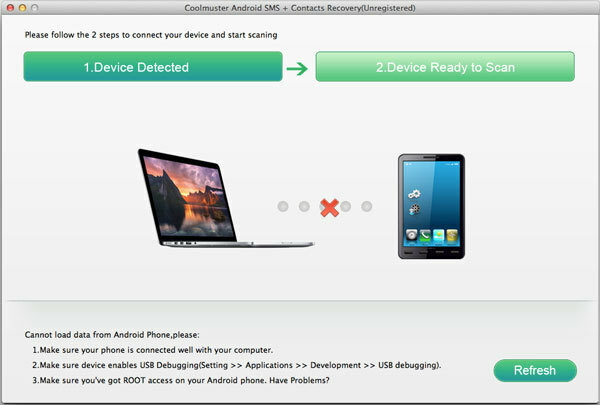 Coolmuster Android SMS + Contacts Recovery needs a review. Be the first to review this app and get the discussion started! Coolmuster Android SMS + Contacts Recovery needs a rating. Be the first to rate this app and get the discussion started! In case of losing data again, do a backup beforehand. This Mac Android recovery tool can help you export the recovered text messages and contacts to Mac and save them as readable and printable .html format. After recovering your wanted text messages and contact phone numbers, you can keep them on your computer, print them out to a piece of paper or you can also re-sync them to your Android mobile phones. Data in the phone internal memory is unreadable and inaccessible unless you use a third-party program to help you. This Android data recovery software provides you with the access permissions to deeply scan the internal memory of an Android phone so that you can view and read your lost texts and contacts easily. The real-time preview function gives you the ability to view the recoverable Android text messages and contact before your start to recover them. Those deleted files and existing files are marked in different colors so that you can select your target data for recovery quickly and accurately. Perfectly supports all popular Android handsets and OS. You can get back what you want with just a few simple mouse clicks. 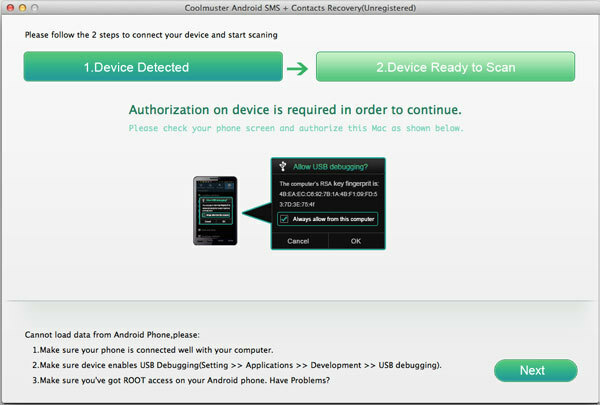 While, in order to get this software operated well to restore SMS or contacts, you need root your Android phone. It is fully compatible with almost all popular Android smartphones available in the market, such as Samsung, HTC, LG, Sony, Motorola, ZET, Huawei, etc., and compatible with various Android OS versions.